We continue our examination of the business book Made to Stick with an interview of author Dan Heath. Heath looks at sticky ideas on social networks, and what makes a great business book. What was the impetus for you and your brother Chip to write Made to Stick? We were puzzled and somewhat disturbed by the fact that lots of shady ideas–like urban legends, conspiracy theories, and rumors–have no trouble succeeding in the marketplace of ideas. Meanwhile, many important ideas fail to stick (e.g., public health messages and the correct nationality of our president). We wanted to reverse-engineer the “naturally sticky” ideas and figure out what made them so effective. In the book, we tried to demonstrate that there are patterns that explain their success, and these patterns can be used by people who have credible, important ideas to share–teachers, non-profit leaders, entrepreneurs, etc. I’d love to tell you that it all unfolded according to our master plan of stickiness, but the honest answer is that I have no clue. Chip and I worked hard on Made to Stick, and we’re proud of it, but I’m not naïve enough to think that our hard work explains anything. There are lots of great books that don’t get much attention. I think the book’s success was 90% luck and 10% putting duct tape on the cover. Have there been any events since you wrote the book that made you say, “This is our notion of being sticky in practice.”? Over the past few years, social marketers have become much, much better at sticky communication–check out The Girl Effect and NYC’s “Don’t Drink Yourself Fat” campaigns for brilliant examples. (To be clear, Chip and I had nothing to do with these, other than applauding them.) Social entrepreneurs are learning that, to communicate effectively, they’ve got to craft simple, emotional messages. Now, there are definitely more companies promoting themselves on social networks. Which companies are using it to deliver sticky ideas? I am a bit simple-minded about this. To me, social networks are way downstream from the decisions that actually matter. For instance, when you’re Zappos, and you do remarkable things for your customers, they will be inclined to tell others what you did, and their stories will stick (whether told via Twitter, Facebook, or a cellphone). So Zappos gets fabulous social-networking buzz, but it has nothing to do with social networks–the buzz emerged from smart decisions about strategy and culture. When you do wonderful things that make your customers happy, you don’t need a brilliant social networking strategy. And if you do things that make your customers hate you, no social networking strategy will bail you out. How has your process changed from Made to Stick to writing Switch? We were much more iterative in writing Switch–we went through many drafts and many cycles of feedback. Chip and I have both been inspired by the “design thinking” that’s taught at Stanford’s D-School and elsewhere, and the more iterative writing approach was our way of moving in that direction. I love business books that take you behind the scenes of dramatic events. I’m thinking of great works of journalism such as The Informant and When Genius Failed. But most business books (including mine) are “how-to” books, and I think the test of those books is whether they meet a “felt need” of the audience. (That’s a term I stole from Ray Bard–see more in this recent column on the subject.) That is, do people crave the information in the book? And does the book deliver useful tools? A great example is Getting Things Done, which has developed a quasi-cult following because it met a felt need for better personal productivity. Liar’s Poker: Michael Lewis at his best. Hilarious and scathing. Influence: Want to know how people are trying to manipulate you? Read this book. The Soul of a New Machine: A terrific writer (Tracy Kidder) embeds with Data General as they struggle to release a new computer in the late 70s. A great “behind the scenes” book. 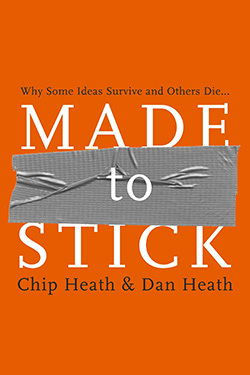 Dan Heath is the coauthor, with his brother Chip, of Made to Stick: Why Some Ideas Survive and Others Die. 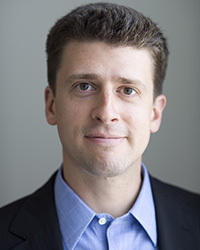 Heath is a Senior Fellow at Duke University’s CASE Center, which supports social entrepreneurs. The Heath brothers’ new book, Switch: How to Change Things When Change Is Hard, was released in 2010 and debuted at #1 on The New York Times bestseller list. For free resources related to both books, see heathbrothers.com.